An unfinished basement can in many cases feel like a waste of space. If your basement seems like a dark, dingy and damp mess that’s simply taking up precious space, it may be the right time to take action. 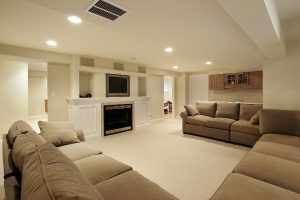 A finished basement can do so much for your household. If you’re interested in basement remodeling suffolk county ny property owners can depend on, you should get in touch with our full-service company right away. We can help you explore all of the diverse basement refinishing options that are available to you.